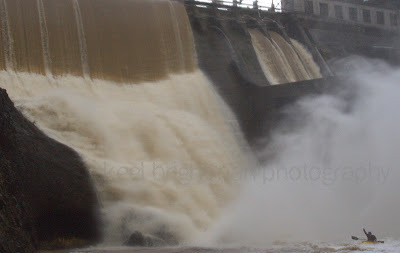 The Condit Dam was intentionally breached on October 26, 2011. Northwestern Lake after it had been drained. 100 years of silt deposit build up pushing its way downstream. Fist in the air & pointed straight! The Condit Dam has blocked the free flow of the White Salmon River since 1913, creating Northwestern Lake 3.4 miles upstream of the mouth of the river, and has been in debate for removal for years. American Whitewater has been working for its removal and it is scheduled for the beginning of October 2008. 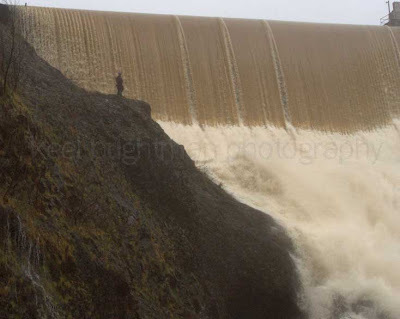 Austin Rathmann scouting the dam at high water.